Muscat Securities Market (MSM) signed a Memorandum of Understanding (MOU) with the Middle East Investor Relations Association (MEIRA) on Thursday 14 December, 2017 at MSM Headquarters. Ahmed Saleh Al Marhoon, Director General at MSM, and Alex MacDonald-Vitale, MEIRA Chairman, singed the agreement to mark the start of this collaboration. 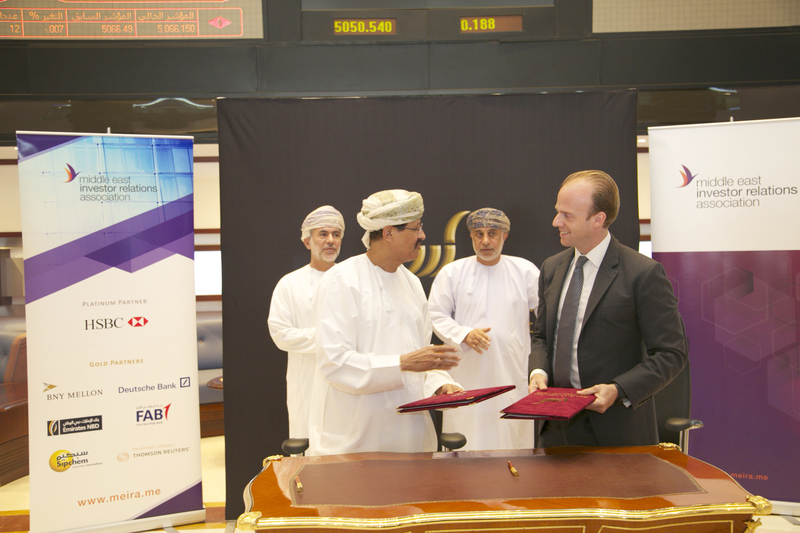 The MOU signing ceremony was followed by a presentation conducted by Alex MacDonald-Vitale, MEIRA Chairman, who highlighted latest trends and developments in the profession of IR in Oman and its importance in the development of the Muscat Securities Market. 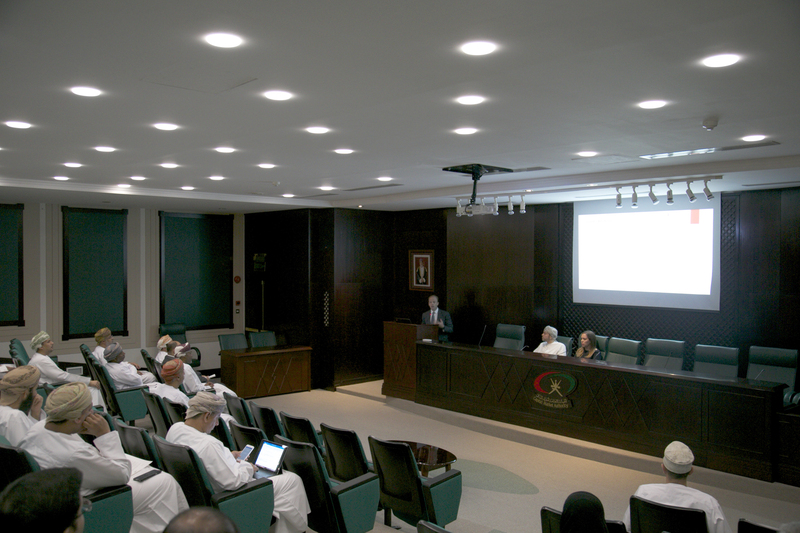 The event was opened to MEIRA members and IR practitioners.